Q: What’s the difference between Tor and private browsing sessions in my browser? This question was answered on February 10, 2016. Much of the information contained herein may have changed since posting. On the surface, both are used as privacy measures but from a technical standpoint, they are worlds apart. 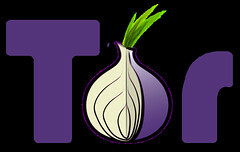 Tor (https://torproject.org), which stands for ‘The Onion Router’ was originally developed by the United States Naval Research labs to protect communications online for intelligence purposes. They wanted a tool that would allow journalists or dissidents to safely communicate from within restricted countries, amongst other potential uses. The ‘onion’ component refers to a very sophisticated layering of communication and security protocols for the purposes of hiding a user’s location and activities from those conducting online surveillance. Tor is now the tool of choice for millions that want to make tracking of their activities very difficult. Ironically, this government-developed tool is being used by the Internet underworld and foreign governments to make surveillance from our government much more difficult. It’s technically, the closest thing that currently exists to anonymous browsing of the Internet. Private browsing sessions that you can launch from your web browser do nothing to mask your location or usage from the rest of the Internet; it simply means that your browser won’t retain the information. An example of how private browsing can be helpful is when you’re shopping for a surprise gift for your significant other and don’t want your computer to give away the surprise. Advertising technology known as ‘retargeting’ is why you often see ads follow you around the Internet and on social networks. When you visit the website of a company that uses retargeting technology, a tracking ‘cookie’ is dropped on your computer that tells the entire ad network you were interested in a specific product. When you use private browsing sessions, both the history and the cookies get cleared away when you shut down the session. You can hide your activity from other users of the same computer or from retargeting networks, but all of the digital footprints that are commonly created as you traverse the Internet are still generated. This means your Internet Service Provider as well as the sites that you visited and lots of other entities can still capture specific information that can be traced back to you. So think of it as internal anonymity (private browsing sessions) versus external anonymity (Tor browsing sessions). Using Tor also has its downsides; in order to help mask your session, Tor randomly bounces your requests around lots of other participating nodes, which generally results in slower performance (in some cases, really slow performance). For this reason, most people don’t use Tor for every day browsing, unless they’re Edward Snowden or the like. To be clear, simply using Tor as your browser does not automatically make you completely anonymous from online tracking, as it’s only one layer that needs to be addressed. Finally, some reports suggest that using Tor or other known anonymity tools could actually put you on a watch list for some of the automated surveillance programs, so surfer beware!